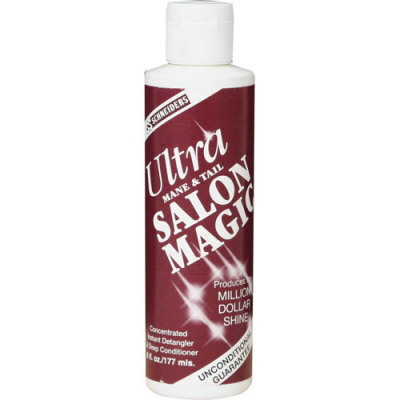 Salon Magic´s deep conditioners work to detangle quickly. It penetrates mane and tail hair from the root to the end strengthening each hair. Repels dirt and dust. No alcohol. Clear formula leaves hair shiny and healthy looking while resisting new tangles.